I have more coffee paraphernalia than I need. Six stove top espresso makers (thank you estate sales and thrift stores), French presses, two different types of grinders, a roaster, canisters with various blends and grinds, frothers. . . We like our coffee and we like it good. I guess you can say we’re coffee snobs. We don’t drink Folgers. We have our favorite places we go where we know we can get “good” coffee. Starbucks isn’t on that list. 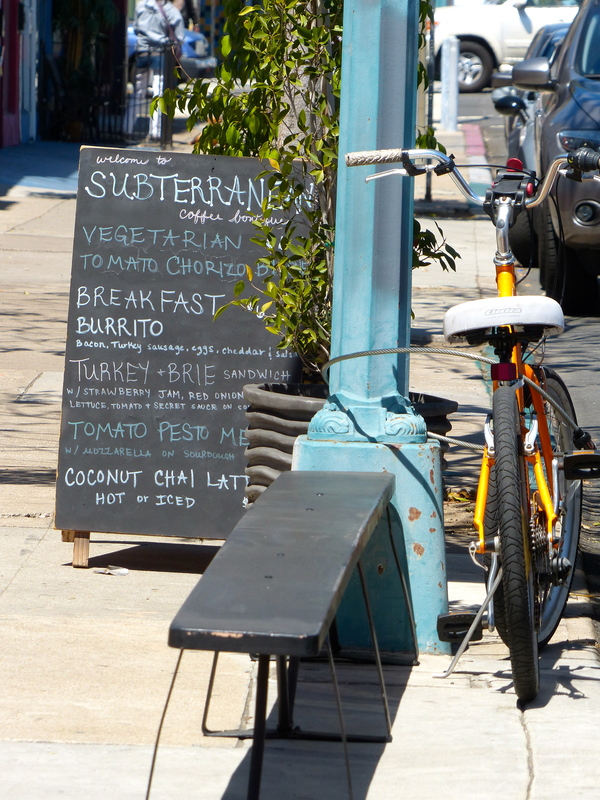 In San Diego there are plenty of quality coffee establishments. We have options. So, I was surprised to realize today that one of my coffee highlights of the week wasn’t what I would have expected. The water was boiled in a dented aluminum kettle. The instant coffee powder was placed in a simple, chipped cup probably donated or purchased from a thrift store. It was lovingly prepared with a healthy amount of sweetened condensed milk, like much coffee is prepared in southeastern Asia or regions where fresh milk or cream are a luxury. The coffee flavor was strong, the sweet caramel tones of the canned milk added a delightful flavor I don’t usually experience at home. This was a true treat, prepared lovingly by my hosts, the Burmese refugee family who are my friends. When I first started visiting them over a year ago, I often showed up with my travel coffee mug in hand, having prepared my “good” coffee at home and not wanting them to feel like they had to prepare something for me when I arrived. After all, Americans like to walk around with their coffee. I’m American, so my coffee goes with me when I leave the house. Newsflash: that’s pretty uncommon everywhere else in the world. I know that, but in America I do it because, again, I’m American. Then, for whatever reason, I stopped bringing my coffee with me on these visits. Within a couple weeks, my Burmese friends started making coffee for me. I noticed as soon as I stepped through the door, the kettle was filled and the gas burner was turned on. Within minutes, I was sitting on the floor mat, coffee in hand. They were so happy to serve me the steaming beverage and show their hospitality. Had I been robbing them of the opportunity by showing up with my own drink in hand under the guise of “I don’t want to inconvenience them”? Perhaps. Either way, I now have a new appreciation for instant coffee with sweetened condensed milk – served around the world to people who can’t afford to be coffee snobs – and a realization that “good” coffee is not only comprised of what’s in the cup, but also in the hospitable, cheerful sentiment with which it is prepared. Note: In celebration of instant coffee and sweetened condensed milk, we prepared some today during our regular coffee time. It was delightful. Since I mentioned I have favorite coffee places, I thought I should give them a quick shout-out. 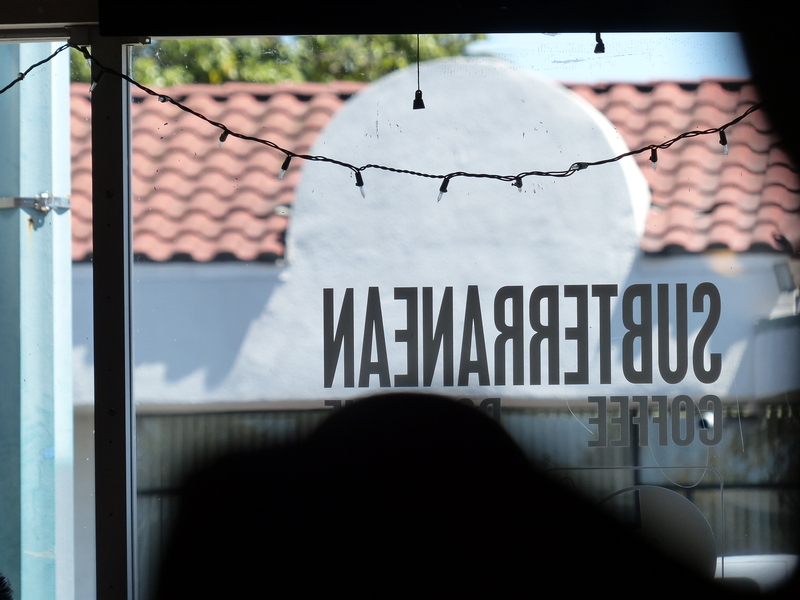 First, Caffé Calabria in San Diego’s North Park neighborhood. We love the Italian café vibe, but most of all the excellence in the preparation, presentation and quality of their own roasted coffees. Stop by and order a cinque (cheen-kwe). 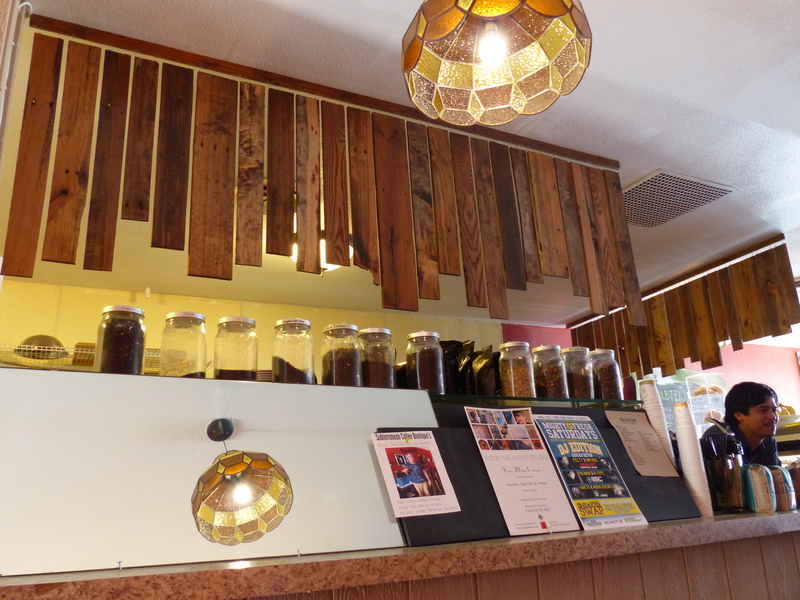 Second, Dark Horse Coffee in San Diego’s Normal Heights neighborhood. Unassuming. Unpretentious. 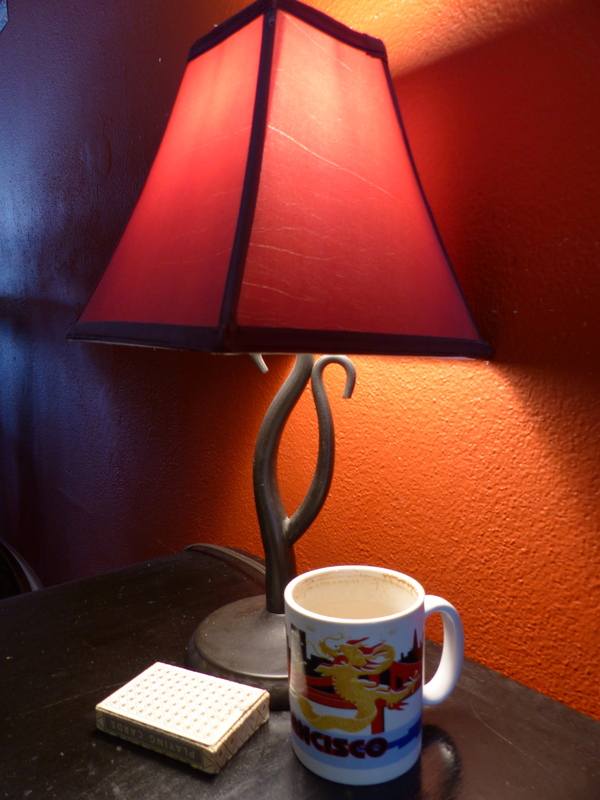 The small shop offers a flavorful, strong cup of smooth French press at the best price in town. Appreciate “good” coffee? Dark Horse is a must. I like to try new places as well, to make sure I’m not missing a good cup. 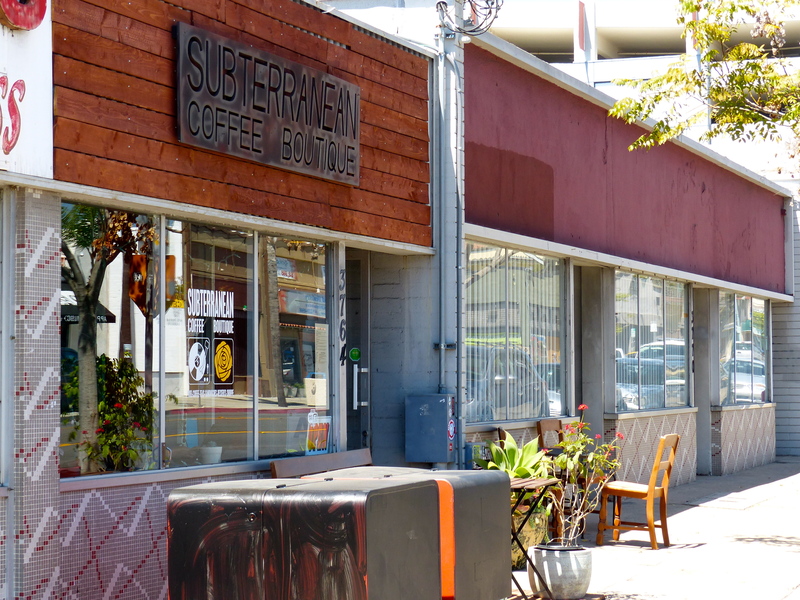 Today I visited Subterranean Coffee Boutique in North Park for the first time. Quality, fresh roasted brew prepared by skilled hands. Not bad at all. The food also seemed to be a big draw to for the customers who were thoroughly enjoying their lunch. Enjoy the pictures. I must confess most my younger life was spent with tins of Ricoffy (instant as can be) and Nido! But recently, my coffee buds have developed a liking for a good friend’s Mzuzu grown seed ( http://www.patapotea.com/ ) prepared in an aluminum kettle too and best enjoyed with good company. Ah yes, Ricoffy with Nido! Sometimes in Mozambique when the coffee machine wasn’t working at the cafe they would serve strong Ricoffy and powdered milk. Classic. And of course, NIDO is the best powdered milk. And Malawi has some fantastic coffees I wish I could get my hands on here in the U.S. We just have to buy a bunch of bags when we travel and ration it when we get home. And I agree with you – the best cups, whether instant or ground, are those enjoyed with good company.